At Phuse we create e-commerce websites that are tailored exactly to your business needs. We take the time to understand your goals for the future and how you need to do business online. 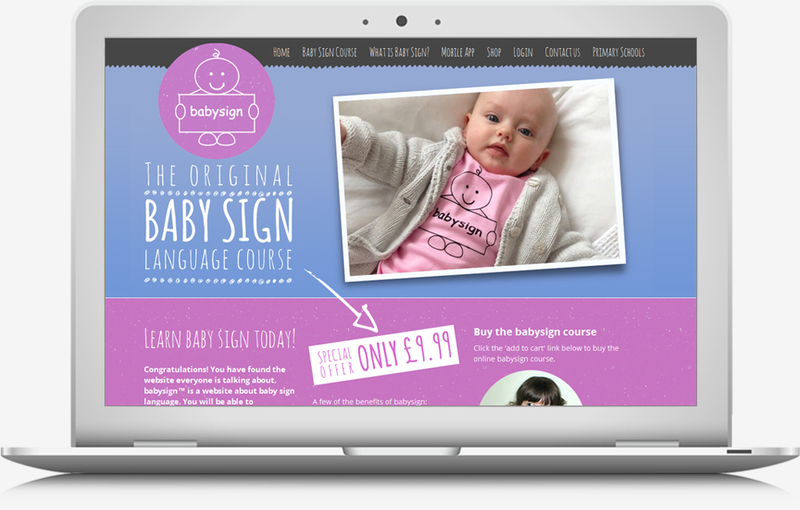 A new fully content managed e-commerce website developed for Babysign. It includes a flexible postage manager, voucher code system and a tag manager to allow for products to appear in multiple categories. The e-commerce system works with all major payment providers. Our e-commerce solutions are delivered through our content management system (CMS) by way of a plug-in component. This plug-in allows us to adapt our CMS in order to create e-commerce solutions suitable for small and medium sized businesses. Whether you need to sell a small range of niche products or thousands of products across the country, we can build the solution you need. If you require an e-commerce website or a shopping cart system for your business get in touch with our team today for a free no obligation consultation. "It is a great pleasure working with Phuse. The team is professional, customer focused, flexible, hard-working and very responsive. We received great feedback from our customers on the new website and have generated several new leads since its launch. "